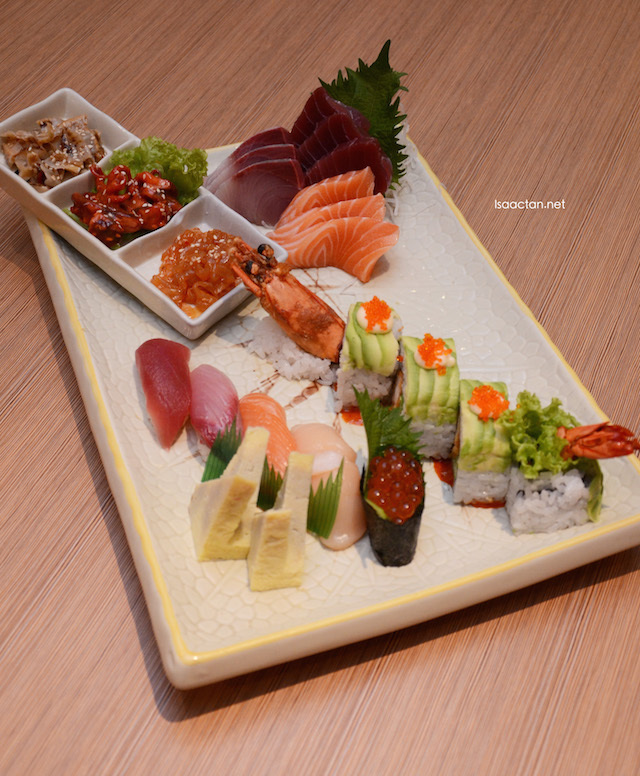 My next stop in my journey to explore the eateries in Nexus Bangsar South, Edo Ichi Japanese Restaurant, located next to Eau De Vie which I reviewed last week. Serving japanese cuisine, the outlet was filled with diners, even on a weekday evening, the day we were there for our dinner. 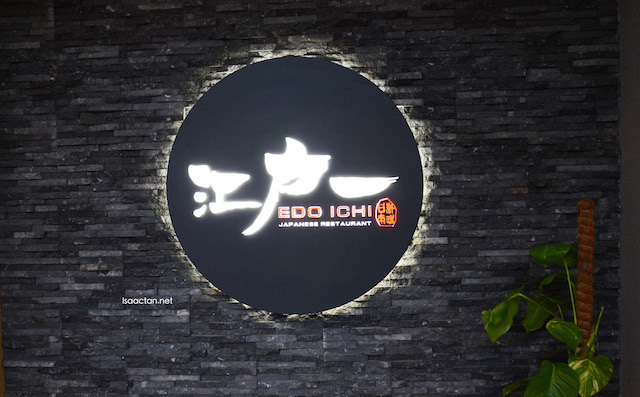 Edo Ichi is run by the same people behind Ichi Zen, Hana, Azuma and Sushi Zento. With that much experience, my expectations were pretty high for the food that was going to be served. 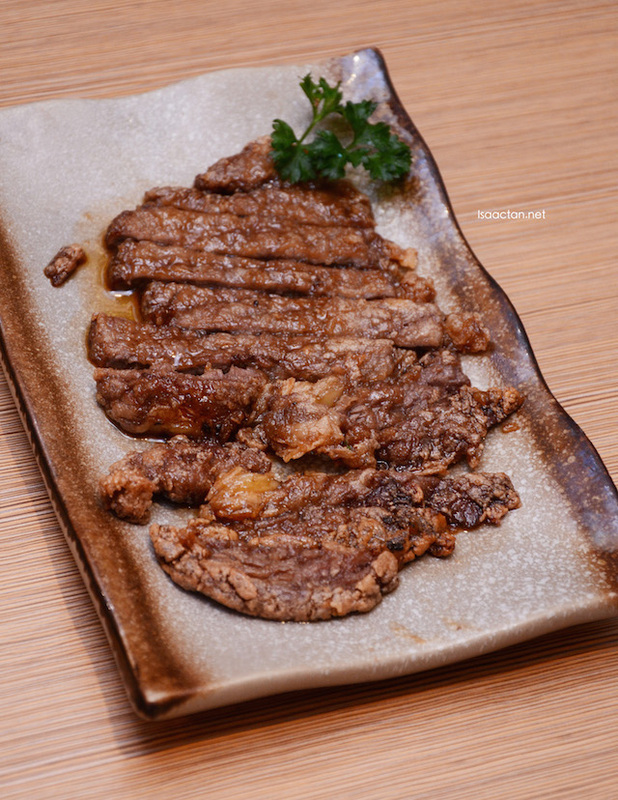 It's rather interesting to note that on top of the usual japanese cuisine, they do have some dishes off the menu with hints of korean flavours. We kicked off the meal with some healthy greens, in the form of the Soft Kani Karaage To Shake Kawa Sarada. 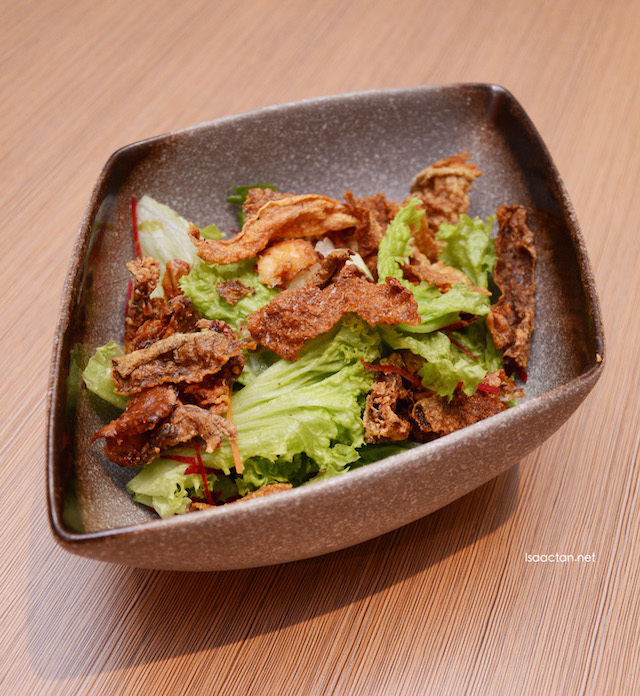 Greeneries, salad, drizzled with my favourite sesame sauce, I love the deep-fried softshell crabs and salmon skin which is generously laid out on top. We had a couple more starter dish that evening. Check them out below. 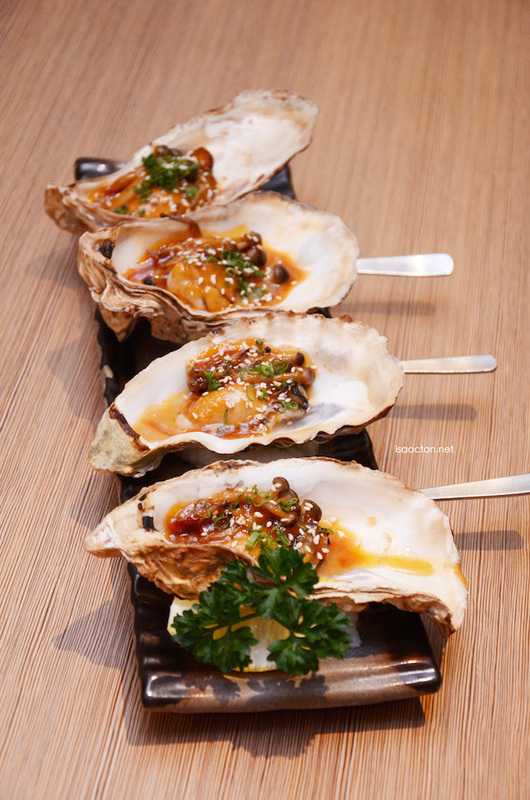 The Kaki Toban Miso Yaki or grilled oysters are a must try for oyster lovers. I personally am not a fan of oysters, but my fellow foodies did mention it was good. The next starter dish, Foie Gras To Nagaimo Steak looked and went better with my palate, albeit me not being too fond of foei gras. 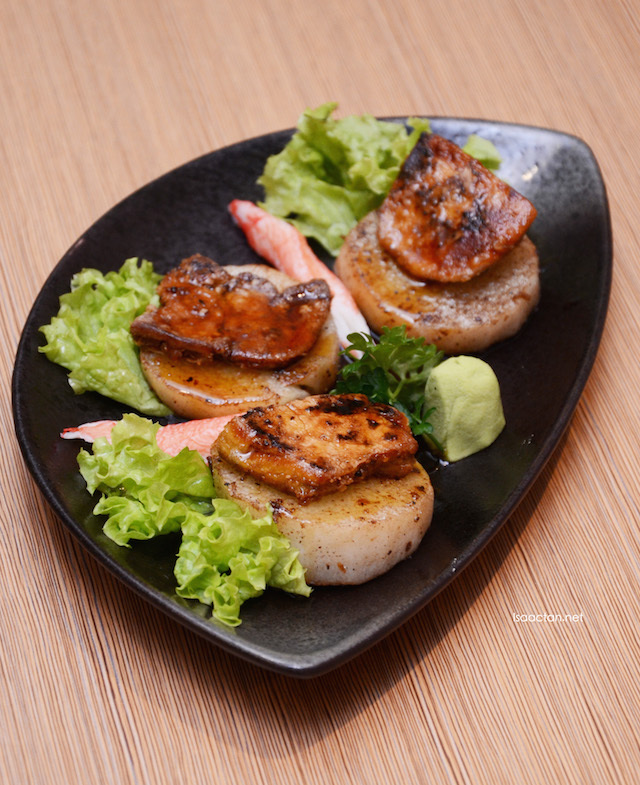 The thick cuts of pan-grilled goose liver were mated with Japanese yam to give us a rather exotic dish. Chef’s Sashimi & Sushi Combo Platter, a platter of sashimi and sushi goodness, meant to be shared with your family and friends. The serving on the plate is pretty big, with 3 types of assorted sashimi, 5 types of sushi, a whole big dragon roll and 3 varieties of appetizers. A great choice with friends, or if you can finish all of it alone, go for it! Teppanyaki couldn't get any better than this. 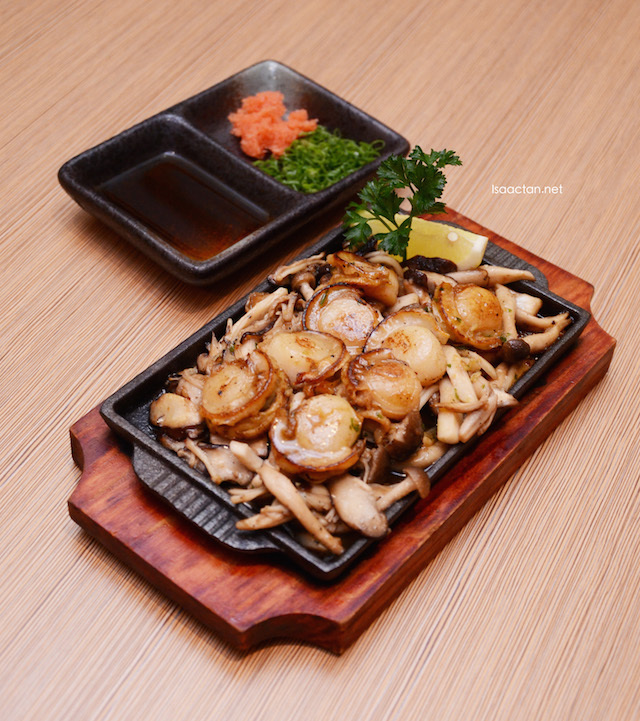 Pan-grilled scallops and assorted mushrooms make up this Hotate To Kinoko Butter Yaki dish. Together with the sauce, the butter add that distinct flavour to an already yummy dish. I love the scallops. 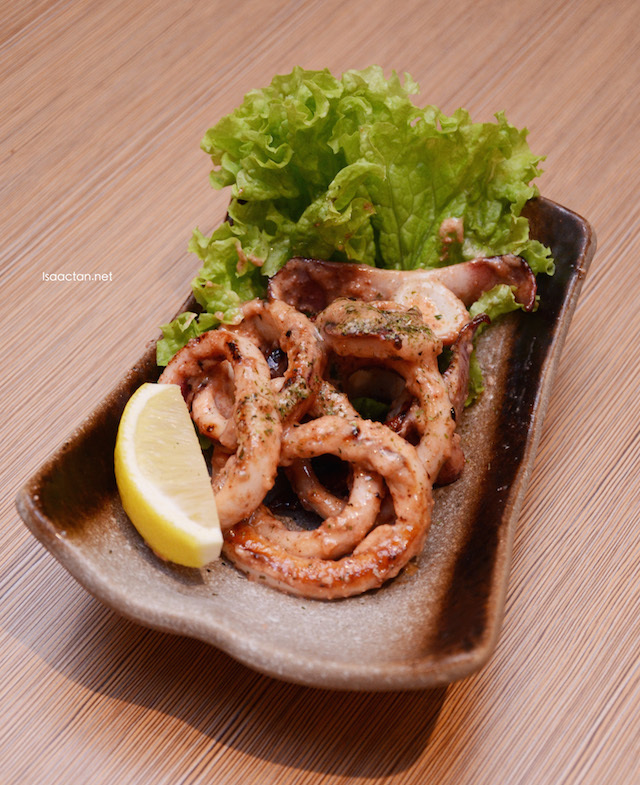 The Squid rings with cod roe or Ika No Mentai Butter Itame had that bouncy texture, without being too tough. It was a good chewy dish, going really well with the umami mentai sauce. 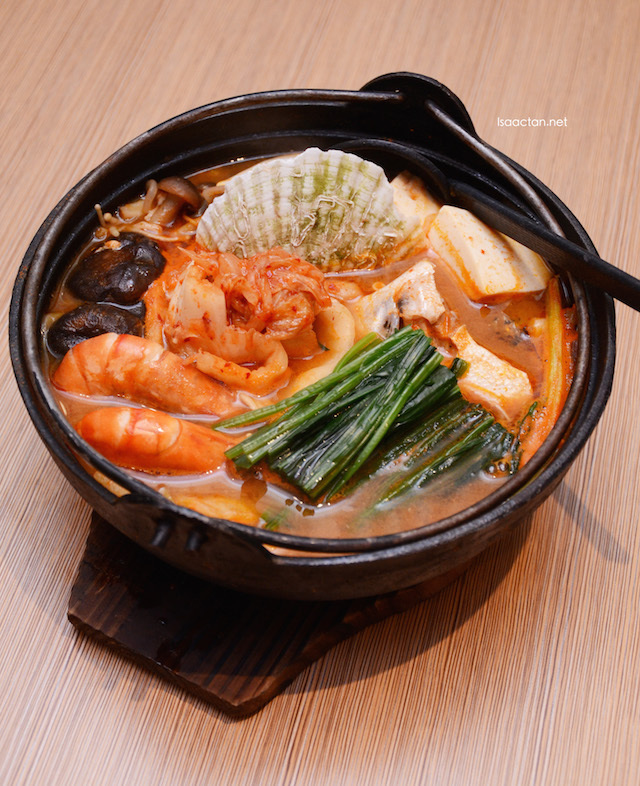 A kimchi hot pot soup consisting of assorted seafood and vehetables. Why not? The Chanko Konabe dish comes with a choice of kimchi, miso or soyu soup pastes. We had the spicy and tangy kimchi paste, and I must say, this is a rather Korean dish. Satisfying comfort food, best taken on a rainy day, or a really cold air conditioned room like the one we were in that night. Beautifully plated, the Pan-grilled Smoked Duck (Kamo Aburi Yaki) had a unique touch of curled noodles enhancing the presentation. Pan grilled to perfection, the aroma was there, flavourful yet a tad too tough. My favourite dish for the night, the Australian Ribeye, pan fried with teriyaki sauce was a tad overcooked but still tasted good. 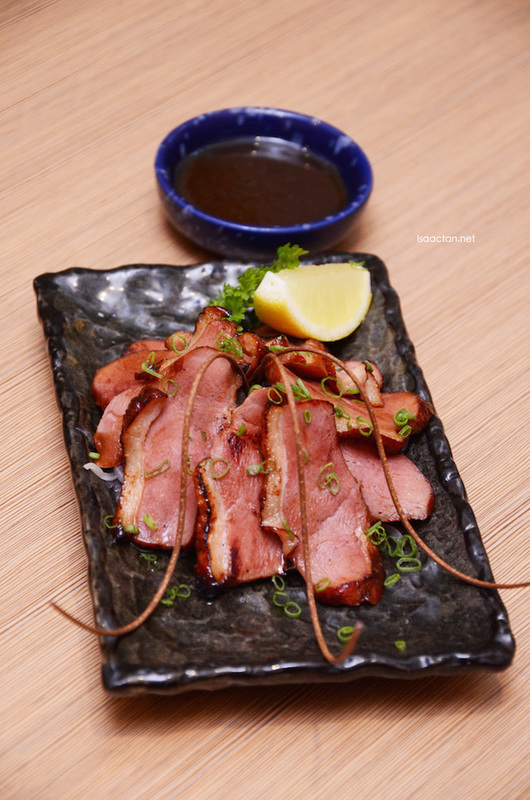 Thinly sliced, the sauce seeped into the meat, with each mouthful I keep wanting for more. 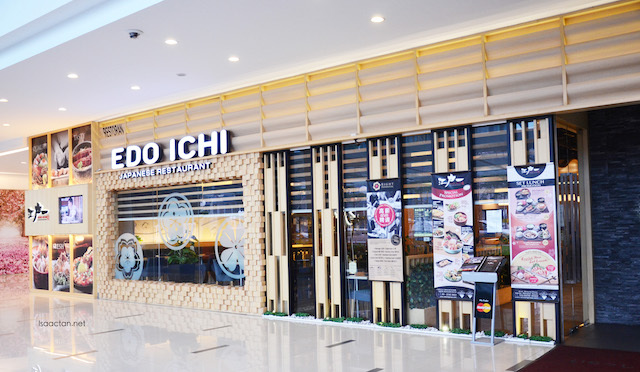 If you're in the mood for some nice Japanese cuisine in the vicinity of Bangsar South, remember to drop by Edo Ichi Japanese Restaurant.